Week 37 over at i heart faces - Vroom! Vroom! What a great challenge! The theme is Vroom Vroom over at i heart faces. My photo features my daughter Bronte and my favourite car, the Volkswagen Karmann Ghia. We have one of these beauties in our garage. Still waiting to be restored to her former glory. Never mind that my husband and I bought her many many years ago and he was going to restore her for my 30th birthday. Shhhh - don't tell anyone but I am now 47! What happened to that idea? Well, life happened actually! Children happened. And much more. So, now my 14 year old thinks that he would love it. Good luck with that! Our garage would be so naked without her after so many years! I did this shoot at the end of our street. It was fun. Luckily we live in a quiet area as it looked very strange with both of us lying on the road. Hope you enjoy! 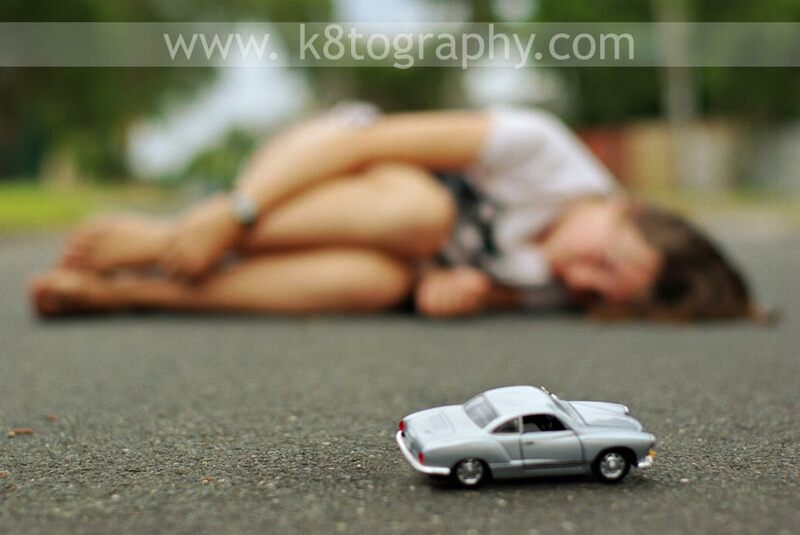 Don't forget to pop over to i heart faces to see all the other fab Vroom Vroom entries!